The history of horse racing goes back to the ancient Greeks, who apparently pioneered these competitions as early as 700 BC. In the 17th century, when King James I’s obsession with the “Sport of Kings” boosted its popularity with the British aristocracy, horse racing evolved to more closely resemble the phenomenon we know it to be today. Since then, horse racing (and “betting on the ponies”) has remained a beloved diversion for generations of spectators — particularly in Ireland and the U.K. — and its reach has only been amplified by the television and internet eras. Horse racing in Ireland and the U.K. comes in two distinct forms: flat racing and National Hunt racing. When most people around the world think of “horse racing,” they’re more likely to imagine the former, which is a straightforward concept. When the gun goes off, the horses bolt out of the gates, and the jockeys maneuver them down the track, which can either be in a straight line or circular. The first horse to pass the post is the winner. National Hunt races are a bit more complicated to execute because the jockeys must navigate their horses past obstacles placed throughout the track. National Hunt contests also come in two separate formats: steeplechases and hurdles. While both versions involve jumping over obstacles, steeplechases are more challenging because the horses are required to clear fences that are taller and sturdier than standard hurdles. Furthermore, steeplechases can involve a great deal more thrill and danger, as they frequently include water hazards that must be either vaulted or traversed in some other way. Individual horse races are classified based on the stature and quality of the horses involved as well as their likelihood of generating higher winnings. The top classification is dubbed “Group 1,” with subsequent groups labeled in descending order for less prestigious equines and lower purses. Below Group 1, Group 2 and Group 3 are listed races and handicap races. Note that handicap races can be particularly interesting because they involve weighing down each horse based on its ability (as per the judgment of an official from the Jockey Club). Because the more talented horses carry more weight, races can often become more competitive and enthralling. 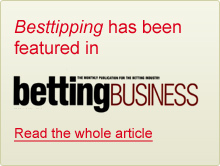 Horse race betting has almost become synonymous with the sport. For the uninitiated who have never experienced the thrill of betting on a race, one must first dedicate themselves to understanding the chances or “odds” that a horse will emerge victoriously. In the U.K., odds are displayed as fractions; for example, the horse you pick to win might have odds of 5/1. This means that if you’re chosen steed emerges as victorious, then every pound you wager will result in winnings of five pounds plus your initial wager amount. Note that odds can also be posted as decimals. Decimal odds already consider your initial wager, so 5/1 fractional odds would be 6.000 in decimal form. If you make a wager based solely on whether a horse will win, it is called a “to-win” or “on-the-nose” bet. Placing an “each-way” bet is another popular option, but it will cost you twice as much as a “to-win” bet. You pay the additional cost because you get two chances of winning, which basically equates to making two separate bets. You not only collect a prize if your horse wins outright but also if your horse simply “places.” This means that even if your horse doesn’t win, it can still “place” by coming in second, third or (more rarely) fourth or fifth, depending on the number of horses in the race. If you succeed in winning the “place” side of your wager, you get paid a specified fraction (usually 1/4) of the posted winnings for a “to-win” bet for your horse. Even better, if your stallion places first, then you earn winnings based on both sides of your “each-way” bet. In addition to the “on-the-nose” and “each-way” wagers, there are numerous other betting options that bookies can offer (including the Goliath, Heinz, Patent, Tricast, Trixie and Yankee), which will require you to do some homework to fully understand and assess. Then, once you’re ready to delve into the horse race betting game, you can explore your various in-person and online options for doing so. Regardless of which bookmaker you elect to use, you should first closely review their rules before parting with a single pound.